Show them you care this Valentine's day, or any day by sending a little bag of love. 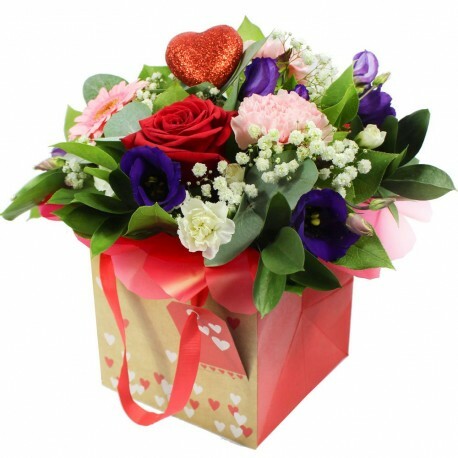 Some flowers may vary due to availability or a similar substitute will be used. Bag colours will vary due to availability or a similar substitute will be used.